Bellona.org > Latest News > Climate change > International climate conferences > New climate change report sounds major impact alarm – will anyone listen this time? The world is not ready for the impacts of climate change, which will include more extreme weather and the possibility that parts of the world will become uninhabitable, according to the world’s leading group of climate scientists in a major new UN report. The 772 scientists who wrote and edited the report argue that world leaders have only a few years left to reduce carbon emissions enough to avoid catastrophic warming, which would produce significant sea level rises and large-scale shifts in temperatures that would dramatically disrupt human life and natural ecosystems. 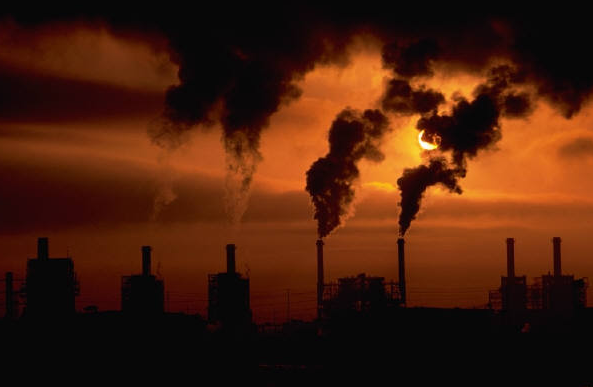 “Observed impacts of climate change are widespread and consequential,” according to the report, which is from the UN’s Intergovernmental Panel on Climate Change (IPCC) and was released Monday morning in Yokohama, Japan. In other words, the new report –from a body known as the UN panel’s Working Group II – says that climate change is already affecting every continent and all of the world’s oceans, and if carbon pollution – the main driver of climate change – is not reduced immediately, major economic damage and the health of millions of people is at stake. Formally called Fifth Assessment Report, or AR5, the several-hundred page document updates the science since the last report was issued by the IPCC in 2007. The report is being released in three sections, each prepared by a different working group. Working Group I focused on the physical science behind climate change; its report was published last September. 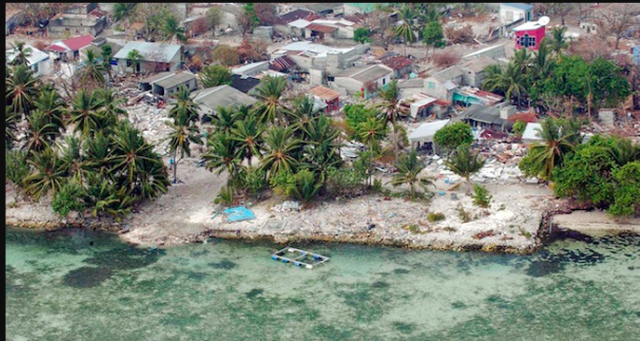 In April, Working Group III will address how governments can work to mitigate climate change. Will the new report make science ‘real’? AR5 emphasizes that what politicians the world around have been spinning their wheels for two decades to avert is, for all intents and purposes, already here. The report is comprehensive in its recap of what we’re already seeing as a result of international political and diplomatic foot-dragging: Tt points to “high risk levels” for spread of disease in Africa; property loss and mortality due to wildfires in North America; and decreased food production and food quality in South America. The more dire consequences don’t stop there, argues the report. If the warming were to go beyond about 4 degrees Celsius as predicted by some climate models, “we would see extensive changes in agriculture,” Kelly Levin, a scientist who studies climate change impacts at the World Resources Institute in Washington, DC told National Geographic. In short, governments now need to brace for the impacts of climate change and invest more in planning for its impact, says the report. Yet, early reaction to the findings is falling along predictable lines, with those who reject climate change science dismissing it as alarmist, and those convinced that climate change is real welcoming it as a clarion call for action. But it is precisely those sideline sitters who are making the scarier predictions seems less abstract, and more like a forgone conclusions. Two degrees, three degrees, four degrees? Bellona’s Stene said the report established the world is headed for something closer to a 3 to 4 degree Celsius rise in temperature. “We don’t need politicians who only emphasize the need to do something, but politicians that will adopt the many effective climate solutions available,” she said. Stene gave the Norwegian government, one widely seen as embracing green policies, only middling marks for it participation in battling climate change. The report, Stene said, puts increased pressure on the administration of new Norwegian Prime Minister Erna Solberg to present a strong national climate budget by fall. Stene’s sentiments were echoed by Connie Hedegaard, the EU Commissioner for Climate Action. US Secretary of State John Kerry similarly delivered an urgent statement citing the overwhelming preponderance of scientific data. The NRDC’s Beinecke was optimistic that US imposed carbon limits on industry were a step toward ensuring that the next generation will not be left grappling with climate disaster. In assessing the world reaction, Stene offered something of a Hail Mary appeal to policy makers who, for their rhetoric, cannot reconcile the divide between politics and science.